Facebook has started pulling the plug — sort of — on the Other mailbox, that inconspicuous Facebook mailbox designed for messages from people who are not your friends on Facebook. You may not even have known about the Other inbox’s existence. That’s understandable. It’s only available in the full desktop version of Facebook. Because it was so discreetly placed, many users may never known it was there or realized someone was trying to reach them. Where is the Other inbox, you ask? Right under your nose. Seriously. Click on the Messages icon along the top row, then click Other at the upper left corner of the popup menu, right beside Inbox. Or on your News Feed, click the Messages link on the left sidebar to open the Messages page, then click the Other link on the Messages page upper left corner, also right beside the Inbox link. It's easy to overlook messages arriving in the Other inbox simply because you don’t see a red dot pop up when a new message arrives. You have to constantly check the mailbox’s message counter — which is consistently grayed out — to monitor incoming messages. Facebook is retiring the Other inbox in favor of Message Requests, which will do a similar job but without burying messages. 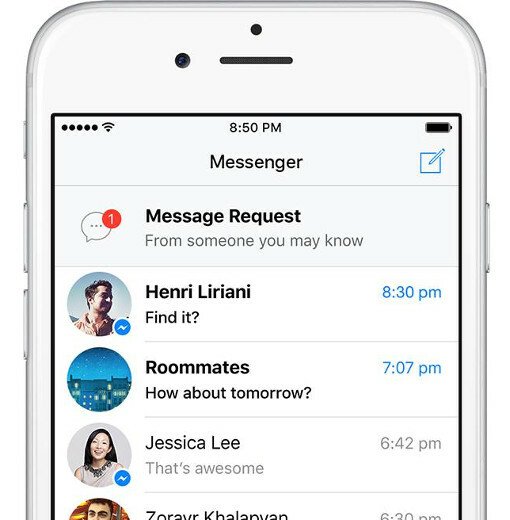 With the new function, messages from people who are not friends of your friends or who are using your phone number will pop up as a message request in both the desktop and mobile versions of Facebook Messenger. You'll see their names, a bit of public information about them (such as their city, job and any mutual friends) and their message. You can ignore a message request if you want, or accept it and move the message to your main Inbox. Message Requests make it easier to contact someone without friending them or telling them to expect and look for a message from you. You won’t even need that person’s phone number — only a name. Don't share more on social media than you're comfortable with; see our comprehensive Facebook privacy guide. Make using Facebook easier than ever with our 10 cool Facebook tips and tricks. Keep track of the latest news through our coverage of Facebook news and updates. While I can obviously see the benefit of adding such a feature, I do worry that it could easily be abused.